Birkle Realty Group was established with the dream of creating a more significant impact on the clients we serve and the communities we live in. We are on a mission to strengthen relationships, inspire a movement of generosity, and give hope to those in need. In an industry focused on transactions and quotas, we will always be focused on people and purpose. 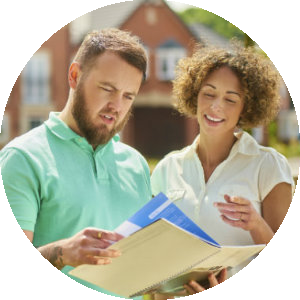 We assist our clients in buying the home of their dreams and selling when the time is right while giving back to the nonprofit of our client's choice. When buying or selling a home with Birkle Realty Group, 10% of our commission is donated to the 501(c)3 nonprofit of your choice and in your name, not ours! Your Source For Central Indiana Real Estate! Some of the areas we serve: Noblesville, Fishers, Westfield, Carmel, Cicero, Indianapolis, McCordsville, Fortville, Pendleton, Anderson, Alexandria, Zionsville, Avon, Brownsburg and other surrounding areas. 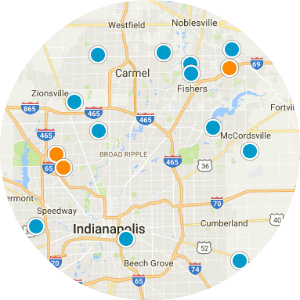 Our informative Central Indiana region website gives you an overview of the housing market in Indianapolis, IN- easily find housing market prices, housing inventory statistics such as number of listings, median home price, home price trends, and monthly real estate market trends. Whether it's your waterfront dream home, golf course getaway, or a charming country home, we can help you find or sell it. Selling a home in this tech-driven world we live in takes a unique set of skills to market to potential buyers. 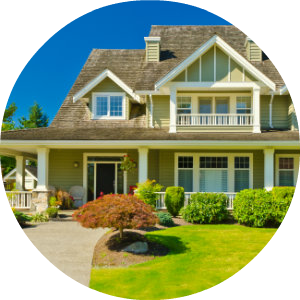 Birkle Realty Group uses the most up-to-date and innovative tools available to sell your home! Call Birkle Realty Group today to discuss buying or selling your home!